The monkey is an important animal in Chinese culture; one of the twelve animals of the Chinese Zodiac. If you're toying with the idea of getting a Chinese monkey tattoo, know the symbolism behind the monkey in China before you get inked. It's as important as choosing the right design, artist and location for your tattoo. Get a tattoo of a Chinese monkey, if you feel you resonate with the qualities expressed by this animal in Chinese culture. 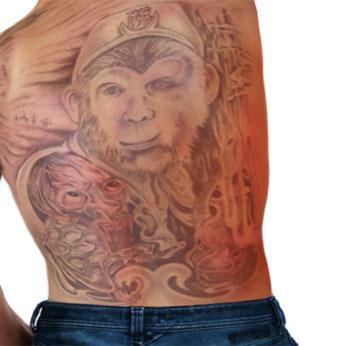 Some who like the visual design of a monkey, may find they are less interested in this tattoo once they know what it symbolizes. As one of the twelve animals of the Chinese Zodiac, the monkey is an important part of Chinese symbolism. Along with this there are other meanings of the monkey in Chinese culture to consider. The Monkey King is an important figure in Chinese mythology. 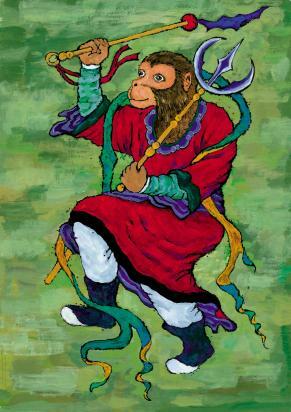 This is a monkey who acquired super powers due to careful and disciplined study and practice of Taoist principles. Chief among his powers are strength and speed, however he can also transform into 72 different forms. The Monkey King resembles the Hindu figure Hanuman from the Ramayana in some significant ways. 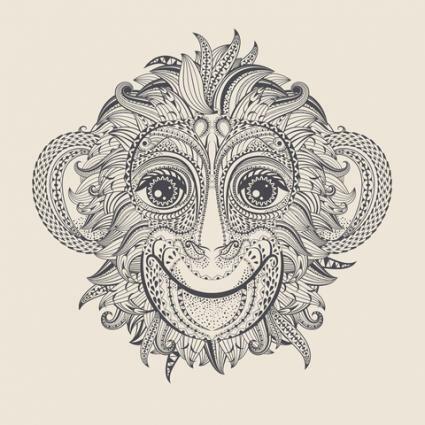 A more irreverent theme, such as a monkey done in a Chinese artistic style sitting at a typewriter to evoke the "thousand monkeys in a room" paradox, as well as the entertaining, intelligent, creative and lucky features of the monkey. Think carefully about what qualities you wish to portray, then begin thinking of scenarios and imagery that conveys those qualities. Choose an artist who is known for her aptitude at Asian-style designs. This will ensure you get a tattoo with some degree of authenticity. The artist may also be able to advise you about what symbols and symbolism to include in your tattoo. If you aren't from the Chinese culture or haven't studied it, don't be afraid to reach out for advice from friends and tattoo professionals when selecting the best design for your tattoo.